General Santos City will host the WPA 10-Ball Championship from February 15-21, 2015. Chief sponsor, Manny Pacquiao, has brought the prestigious event back from a four-year absence to the Philippines. In all over 128 players from 40 countries will compete for one of the largest prizes in professional pool. A total of $200,000 dollars worth of prizes will be awarded during the event with $40,000 going to the winner. 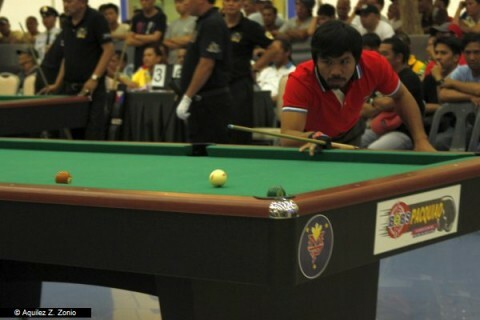 The event is only the fourth time the 10-Ball Championship has been contested in the Philippines. The first event was held in 2008 in Manila when UK’s Darren Appleton won the game’s highest award. This is not the first pool game Pacquiao has brought to his hometown of GenSan, he has personally bankrolled numerous other events and attracted players from around the globe. The event will take place at the SM City Activity Centre. Several ‘wild card’ slots have been left open, giving many the hope that Manny himself will fill one of the slots and play in his own sponsored game.